Tesco shares have tumbled 8% after the company reported disappointing profits. While Tesco reported its 11th quarter in a row of rising sales, analysts were troubled by weak profit growth. During the first half of the year, pre-tax profits rose 2.2% to £564m. Across the group like-for-like sales, which remove the impact of new stores, rose 4.2% in the second quarter. 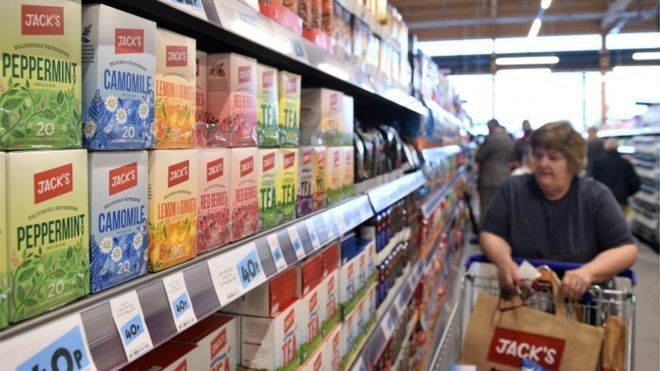 Tesco chief executive Dave Lewis said this was the best sales growth in more than a decade. The firm had "made a good start to the year", Mr Lewis said, with profits mainly driven by growth in the UK and Ireland.